Rupert is consumed by one obsession: that Love Rat, his adored grey horse, be proclaimed champion stallion. 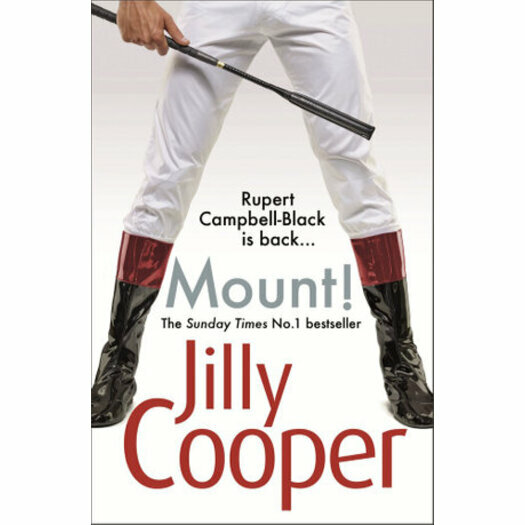 He longs to trounce Roberto's Revenge, the stallion owned by his detested rival Cosmo Rannaldini, which means abandoning his racing empire at Penscombe and his darling wife Taggie, and chasing winners in the richest races worldwide, from Dubai to Los Angeles to Melbourne. Luckily, the fort at home is held by Rupert's assistant Gav, a genius with horses, fancied by every stable lass, but damaged by alcoholism and a vile wife. When Gala, a grieving but ravishing Zimbabwean widow moves to Penscombe as carer for Rupert's wayward father, it is not just Gav who is attracted to her: a returning Rupert finds himself dangerously tempted. Gala adores horses, and when she switches to working in the yard, her carer's job is taken by a devastatingly handsome South African man who claims to be gay but seems far keener on caring for the angelic Taggie. And as increasingly sinister acts of sabotage strike at Penscombe, the game of musical loose boxes gathers apace . . .